I enjoy going to the movies as a family. The time is a little break from the daily grind. For a few moments, we all can escape to another world where our activities, problems, and too long lists don't exist. Still, sometimes a movie needs a little more. For example, wouldn't you like to feel as if you were flying the plane. From thrusting forward to jerking side to side, you could be part of the action. Pix 5D cinema offers you that experience. What is Pix 5D? According to its creator, Anand Shanmugan, Pix 5D is a combination of 3D, physical effects and environmental effect which creates an ultimate theater experience. "The seats at the theatre are 3 Degree of Freedom or DOF, which allows up and down, front and back, left and right movement in sync with the onscreen activity. The experience also includes a wide variety of environmental effects including, smoke, fog, bubbles, thunder, storm, wind, rain, snow and more, depending upon the film’s storyline." 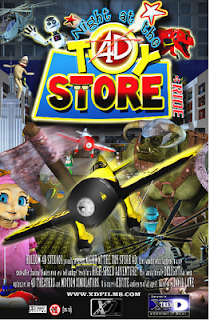 Located at the Woodfield Mall in Schamburg, the Pix 5D theater offers two movies, Toy Store and Time Traveler. Each movie runs for between 10 and 12 minutes. From moment the movie begins you are thrust into the action. From moving side to side to diving through the air, your seat moves as if you are part of the film. Plus, the environment around you transforms during the action. From the splash of a puddle to a puff of steam, your experience the action first hand. I had the opportunity to experience Pix 5D and I was very impressed. For me, the movie is more of a ride than sitting and watching a film. With all the action happening to you, it felt as if I was on a ride at a theme park, not watching a film at my local multi-plex. While my kids weren't with me when I attended, I know that kids would be ecstatic to try this entertainment option. From feeling the sense of flight to the 3D graphics, kids would feel like they entered into a world of their imagination. Pix 5D is located at Woodfield Mall in Schamburg, near the Sears/Macys side, entrance 6. It is Chicago's first and only 5D theater. Admission for the theater experience is $7 for adults and $6 for children and seniors. The cost of admission includes both movies. Hours of operation are Mondays through Saturdays 10 a.m. to 9:00 and Sundays 11:00 a.m. to 6:00 p.m. If you are looking for a fun family activity, check out the Pix 5D movie experience. It is definitely something that the kids will want to see again and again. 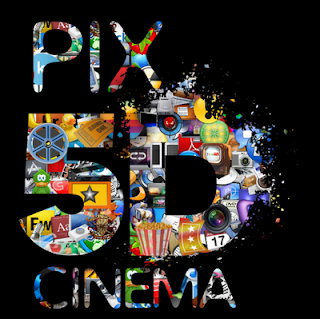 Disclosure: I received media passes to attend the grand opening of Pix 5D.